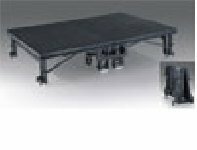 We are a top-notch organization, engaged in providing Mobile Stages. 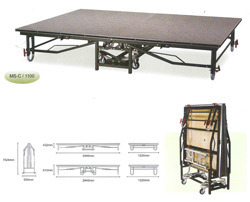 Our reputed entity is engaged in supplying Mobile Stages. This Stage 13 ft height and 40 ft in length which located on 40 ft X 20 ft Platform with Colourfull Flower Decoration. 8 ft. x 6 ft. block - suitable for indoor and outdoor. Height adjustrable from 16 inches to 24 inches.